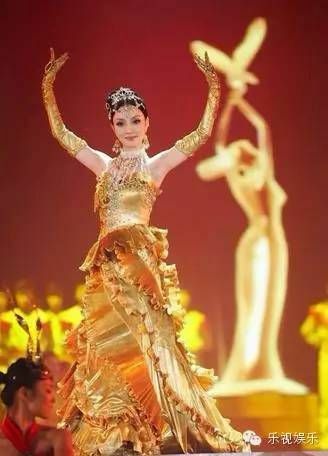 Mainland Chinese entertainment shows has evolved greatly from the tendency towards bombastic stage spectacles, but the love of shiny things remains a deeply rooted custom. 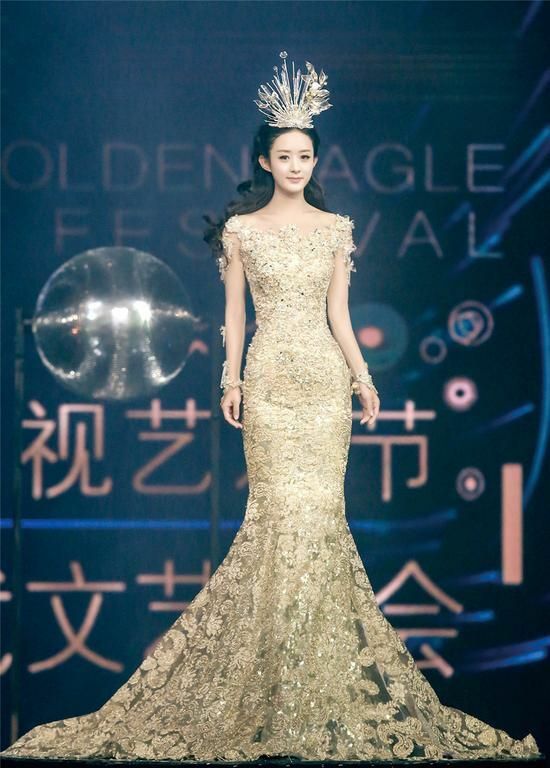 This weekend is the Golden Eagle Awards, China’s television awards show equivalent of the Golden Bells over in Taiwan, and the flying eagle in recent years has been personified by the selection of one actress to be the Golden Eagle Goddess. 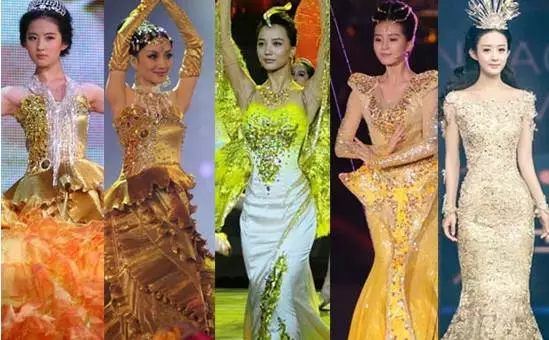 It started six years ago with the Crystal Liu, who was followed by Li Xiao Lu, Wang Luo Dan, Liu Shi Shi, and last year’s Zhao Li Ying. This year’s Golden Eagle Lady is none other than omnipresent screen presence Tang Yan, who still has plenty of already filmed dramas in the bank still waiting to air in the coming months. 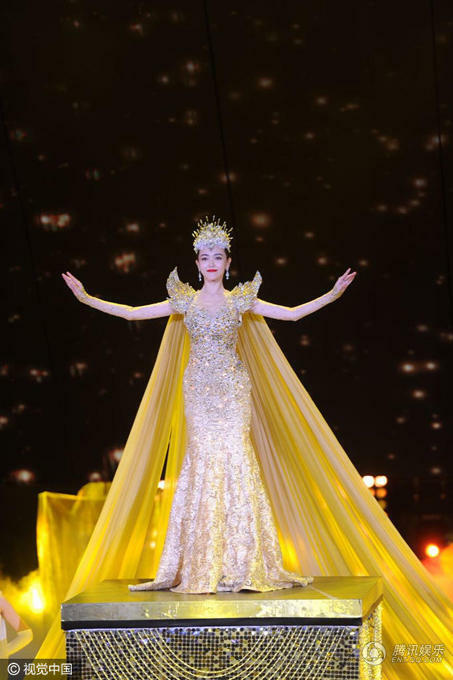 The requirement is to start the show off dressed in the blingiest golden dress/costume, complete with grand gestures of pageantry. Check out the evolution of the six golden girls below. Tang Yan’s figures is growing healthier. Still so in love with LYF version though it reminds me of a disney princess, very gifted dancer, had the best choreography and talent shown within 3 min. Love LSS crown most out of all. ZLY version was not good for appearing so short, it feels like she appeared in a flash just to raise the arms around, and depending heavily entirely on technology. Tang Yan even depended much much much more on tech this time, just walk all the way to the front. Anyway the ladies were beautiful in their dress and crown, the tech was awesome too but not crediting them with talents.